The terms “station wagon” and “performance” rarely go hand-in-hand. In its heyday, the station wagon was a big, bulky alternative to a traditional sedan that was designed to carry a family and a trunk-full of gear. The idea of a performance-wagon seemed downright ludicrous: buyers needed either performance or cargo capacity, but not both at the same time. Audi perfected the super-wagon when it introduced the RS 2 Avant in March of 1994. The RS 2 Avant was powered by a Porsche-tuned 2.2-liter five-cylinder engine that sent 315 horsepower and 302 lb-ft. of torque to all four wheels, enough to propel the wagon from zero to 62 mph in a scant 5.4 seconds. While the idea of a hot-rodded wagon hasn’t exactly caught on, the RS 2 helped open the door for a slew of sports wagons in Europe and the United States. Today, the station wagon is overshadowed by crossovers in the United States but a handful of automakers including Volkswagen, Volvo and Mercedes-Benz continue to keep it alive. Wagons are more popular on the Old Continent, where crossovers are often seen as unnecessarily bulky, but sales are undeniably declining. We’re taking a look at ten of the fastest and most powerful station wagons ever built. We are only including factory-built models, not one-offs manufactured by coachbuilders, and four-door station wagons – sorry, shooting brake fans. Let us know what model(s) you think we left out in the comments section below. 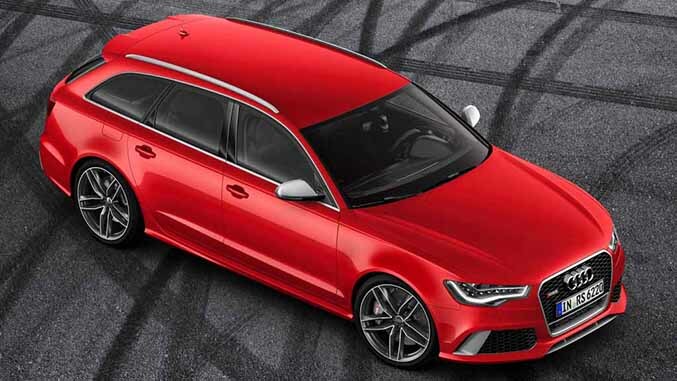 Sold exclusively in Europe, the Audi RS 6 Avant is a larger and more powerful alternative to the RS 4 Avant, the direct heir to the aforementioned RS 2. The last generation RS 6 was powered by a massive 5.0-liter V10 engine but the latest model follows the industry’s downsizing trend with a 4.0-liter TFSI V8 engine rated at 552 horsepower and 516 lb-ft. of torque. The RS 6 can reach 62 mph from a stop in 3.9 seconds, and it is capable of hitting an Autobahn-worthy top speed of 189 mph when properly configured. Audi’s cylinder-on-demand technology keeps gas mileage in check by turning the V8 into a frugal four-banger when extra power is not needed. In the early 2000s, Cadillac management decided to shift the brand’s focus from delivering old-school luxury to fighting head-to-head against European luxury automakers like Mercedes-Benz, BMW and Audi. A V-badged lineup of sports cars was formed to compete against AMG, M and RS, and a wagon was introduced in 2010 in order to give the range a more European feel. There was nothing European in the engine bay, where the CTS-V packed a 556-horsepower supercharged 6.2-liter V8 engine derived from the mill found in the sixth-generation Corvette. 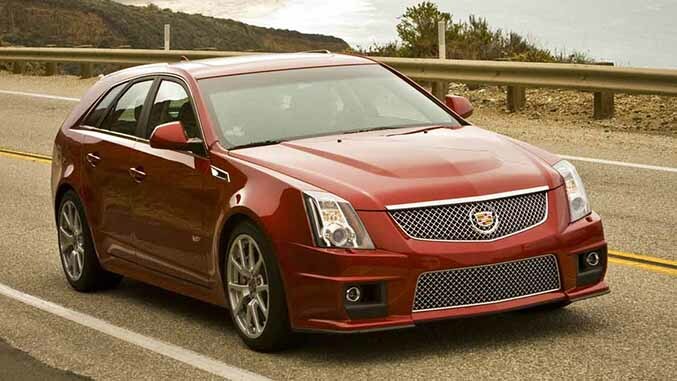 A true wolf-in-sheep’s-clothing, the CTS reached 60 mph from a stop in just 4 seconds. The Dodge Magnum SRT-8 is one of the best-remembered products from the DaimlerChrysler era. Introduced at the 2005 Los Angeles Motor Show, it was essentially the production version of the SRT-8 concept that was first shown at the 2003 edition of the show. 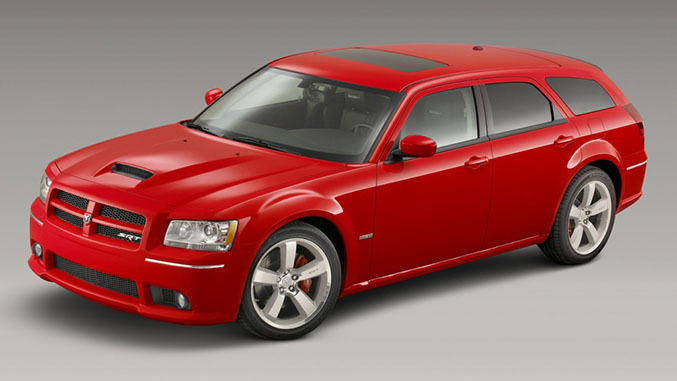 The Magnum SRT-8 shared its 425-horsepower 6.1-liter Hemi V8 with the Chrysler 300C SRT-8. It sprinted from zero to 60 mph in 5.1 seconds while offering a generous 27.2 cubic feet of cargo space with five occupants on board. The Magnum SRT-8 was axed without a successor in 2008 but its spirit lives on in the SRT-tuned variants of the Charger and the Challenger. 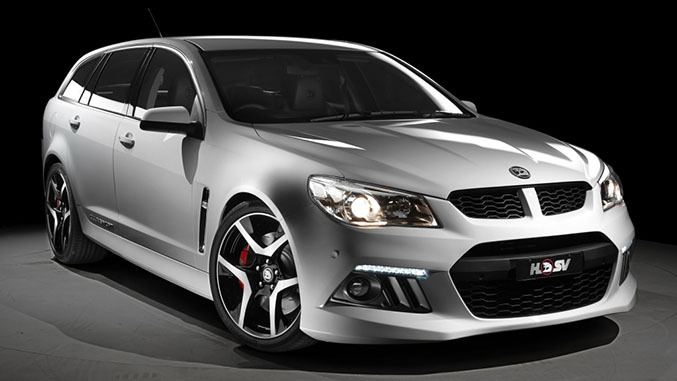 Think of the HSV Clubsport R8 Tourer as a Chevrolet SS station wagon. Built alongside the SS in Elizabeth, Australia, by General Motors’ Holden division, the Clubsport is plucked from the assembly line and sent to in-house tuner Holden Special Vehicles (HSV). HSV fits the wagon with a 455-horsepower 6.2-liter LS3 V8 engine and a six-speed automatic transmission controlled by shift paddles. The tuner also adds an aggressive body kit, bigger brakes and additional gauges in the center console, creating a locally-bred street-legal race car. Fashionably late to the party, Jaguar introduced the XFR-S Sportbrake at last March’s Geneva Motor Show. 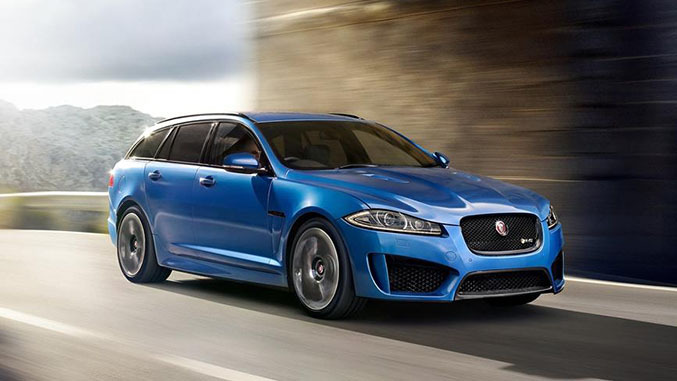 The wagon packs a supercharged 5.0-liter V8 engine that is also used in a wide number of Jaguar – Land Rover products. In the XFR-S, it produces a mighty 542 horsepower and 502 lb-ft. of torque. The XFR-S Sportbrake is not sold in the United States. In the United Kingdom, it is offered as a limited-edition model with a base price of £82,495, a lofty sum that converts to nearly $130,000. The E63 AMG is Mercedes’ answer to the Audi RS6. Only available in S tune, it is powered by a 5.5-liter twin-turbocharged V8 engine that produces 577 horsepower at 5,500 rpms and 590 lb-ft of torque between 2,000 and 4,500 rpms. 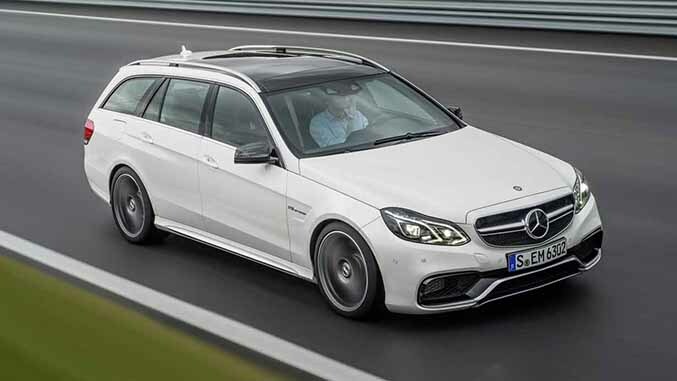 The wagon reaches 60 mph from a stop in just 3.6 seconds thanks in part to a performance-tuned variant of Mercedes’ 4Matic all-wheel drive system. This figure makes it faster than many purpose-designed sports cars like the Porsche 911 Carrera 4 GTS and earns it the honor of being the fastest station wagon sold new in the United States. Although the current-gen Forester competes in the hotly-contested crossover segment, the first two generations of the nameplate were part of a long line of rugged Subaru station wagons fitted with all-wheel drive. 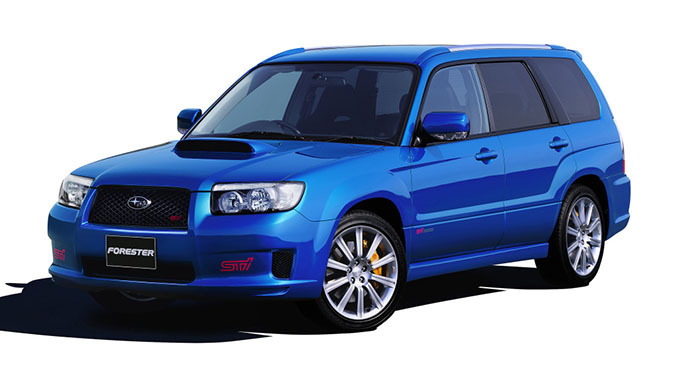 Subaru introduced a tweaked Forester in its home country in 2004. The modifications were essentially plug-and-play: starting with a stock Forester, engineers installed a turbocharged 255-horsepower 2.5-liter flat-four borrowed from the WRX STi, a large intercooler, a six-speed manual transmission that spun all four wheels and a stiffer suspension setup. The end result was a versatile wagon that could be rallied all the way to the hardware store. The Forester STi was never sold in the United States, but Subaru briefly offered a sporty-looking XT model that packed 230 ponies. 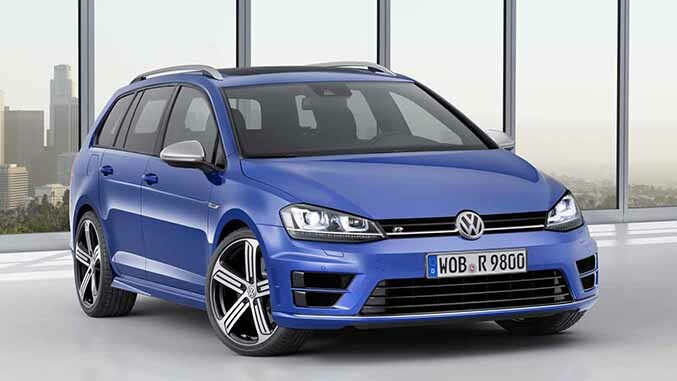 Introduced in Los Angeles a couple of days ago, the Volkswagen Golf R Variant is the newest car on this list. It packs the same drivetrain as the Golf R hatchback, meaning it is powered by a 2.0-liter turbo four that makes 296 horsepower and 280 lb-ft. of torque, but it takes the form of a practical station wagon that’s about the same size as the Jetta SportWagen. The Golf R Variant is scheduled to go on sale across Europe next spring. While it looks like it might remain a forbidden fruit in the United States, Volkswagen's CEO has hinted that it's never too late to green-light the wagon for North America. Only time - and market demand - will tell. Volvo announced plans to compete in the British Touring Car Championship (BTCC) in early 1994. The company had pulled out of racing in 1987, but it made a hasty return in order to give its image a much-needed boost. 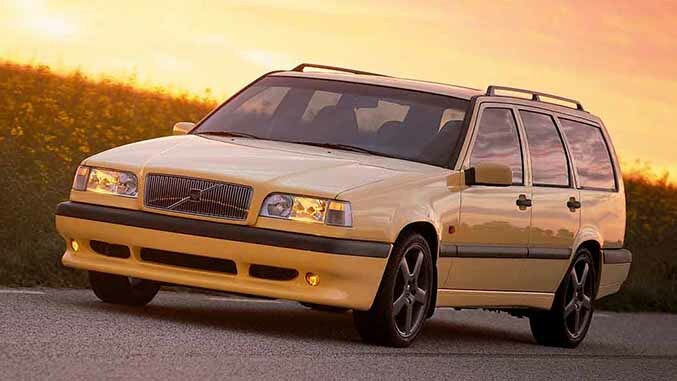 Volvo introduced a sporty version of the 850 in 1995 to capitalize on its BTCC victories. Developed with input from Porsche, the limited-edition 850 T5-R (pictured in yellow) packed a straight-five that could generate up to 245 horsepower thanks to a temporary overboost function. It was available as both a four-door sedan and a roomy station wagon that harked back to the 240 GLT. The T5-R was so successful that Volvo approved the development of an even more extreme evolution of the 850. Called 850 R (pictured in red), it used a 2.3-liter straight-five engine that made 250 horsepower at 5,400 rpms and 260 lb-ft. of torque at 2,400 rpms, though models equipped with an automatic transmission saw their output lowered to 240 ponies. 250 horsepower pales in comparison to the power generated by some of the more modern cars on this list, but it was downright impressive in the middle of the 1990s. Although Volvo is shying away from building performance models, in-house tuner Polestar has turned the professor-friendly V60 into the hottest Swedish wagon since the 850 R. The modifications begin under the hood, where the Polestar-tuned V60 is equipped with a turbocharged 3.0-liter straight-six rated at 350 horsepower. The Polestar treatment continues with beefier brakes on all four corners and a revised suspension setup. A full body kit and a track-inspired interior upgraded with sport seats and additional gauges round out the comprehensive updates. The downside to the V60 Polestar is that it’s a limited-edition model. 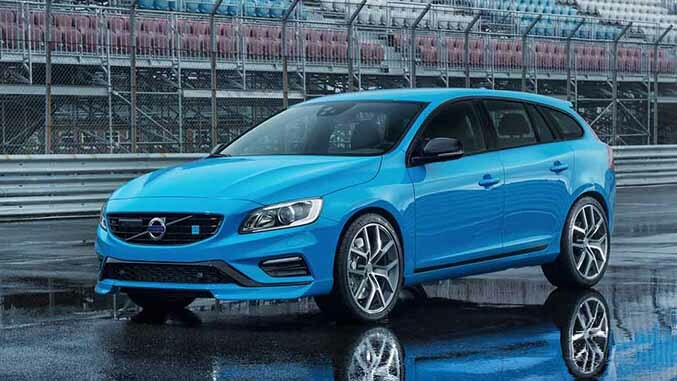 A combined total of 120 Polestar-tuned V60s and S60s have been earmarked for North America.